The new German Consul General to Scotland, Hans Monsdorf paid a short visit to Caithness on Thursday 13 September 2001.. Based in Edinburgh he was travelling the length of Scotland to some of the country he was now to be based in. He started out today by arriving at Ullapool and travelling round the coast to Thurso and John O'Groats and then over to Wick. Tonight he is to make a speech in Inverness as a guest of Highland Council. 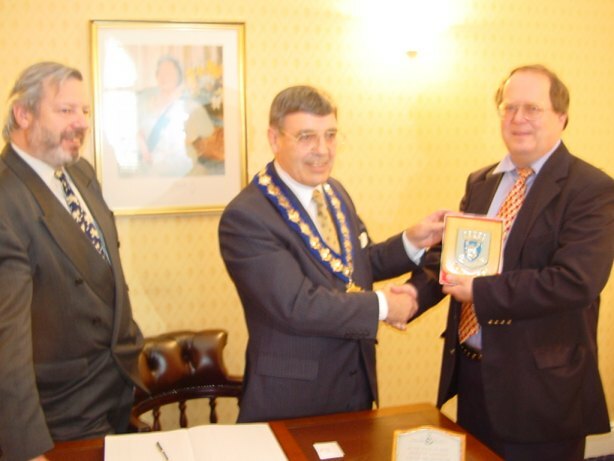 He was presented with a plaque with the old Caithness Council Coat of Arms on it. 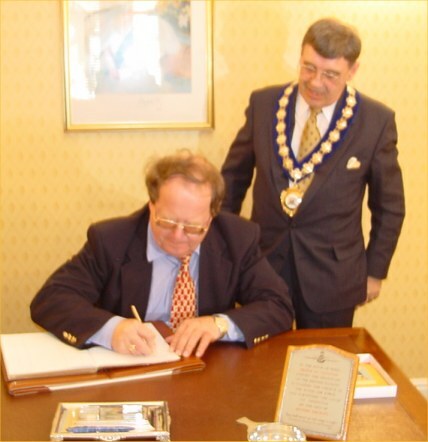 He then signed the visitors book held at the Wick Town Hall.